In the last 10 years, the average number of serious deficiencies cited in nursing home inspections in Connecticut has dropped by 50 percent, while reported nurse staffing levels have risen, and reports of residents injured by lapses in care have declined, federal data show. But a new report from the U.S. Government Accountability Office (GAO) questions whether those measures – many of them self-reported by nursing homes – accurately reflect improvements in nursing home care, or instead are due to deficiencies in reporting and oversight. The GAO notes that the average number of consumer complaints per nursing home actually has climbed in 30 states since 2005, including a 20 percent increase in Connecticut. The ability of the federal Centers for Medicare & Medicaid Services (CMS) to assess nursing home quality “is complicated by various issues with these data, which make it difficult to determine whether observed trends reflect actual changes in quality, data issues, or both,” the GAO said. The agency said that self-reporting of some of the data is among the problems that could undermine CMS’s much-touted Nursing Home Compare program, which rates nursing homes on a ‘five-star’ scale and is intended to help guide consumers’ decisions. “Underlying problems with the data may affect the benchmarks a nursing home uses to assess its quality performance, the ratings a home receives, and the home a consumer selects,” the GAO said. In its response to the report, CMS pledged to continue to improve “data quality and oversight,” including more auditing of self-reported information. In the last 10 years, the average number of serious deficiencies cited in nursing home inspections has dropped 50 percent in CT. In the report, GAO officials noted that the number of serious nursing home deficiencies cited by state inspectors decreased nationally from .35 per nursing home in 2005, to .21 per home in 2014, a 41 percent drop. At the state level, the number of serious deficiencies cited per home declined in 36 states, including Connecticut, where inspections are handled by the Department of Public Health. The GAO questioned whether the decline was due to an “improvement in quality” in nursing homes or instead to inconsistencies in monitoring, including the use of multiple survey types. CMS officials told the GAO that state-level budget problems in recent years “had the significant and lasting effect of reducing some state survey agencies’ ability to complete high quality standard surveys.” CMS also has reduced federal monitoring of state agencies’ survey activities, and has scaled back a “special focus facilities” program that identifies homes with repeated problems, the report says. “By reducing the scope of federal monitoring surveys, CMS may be decreasing its ability to monitor state survey agencies – which is essential,” the GAO said. The report also raised concerns about the accuracy of nursing homes’ self-reported data on nurse staffing, saying CMS does not regularly audit the data (which is used in the Nursing Home Compare ratings). CMS has plans to begin collecting staffing data through a payroll-based system, but the GAO urged the agency to develop a plan to audit that data. According to the report, the number of consumer complaints per nursing home rose in all New England states except Rhode Island between 2005 and 2014. Connecticut averaged 1.6 complaints per home in 2014 – far fewer than the average of four complaints in Vermont and 4.3 in Rhode Island, but higher than Massachusetts’ average of 1.1 complaints. 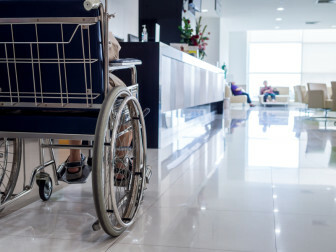 Connecticut’s 50-percent drop in the average number of serious deficiencies per nursing home cited by state inspectors was not as steep as the drops in Maine (59.6 percent), Vermont (59.9 percent), Rhode Island (88.8 percent) or New Hampshire (96.6 percent). On average, Connecticut inspectors cited .40 serious deficiencies per nursing home in 2014 – significantly higher than the national average of .21 per home. View ratings and reports of nursing homes here.